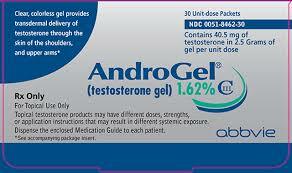 After suffering heart attacks, strokes and other heart-related events after receiving testosterone therapy, men are filing lawsuits against the maker of Androgel and other Low-T product manufacturers. A federal multidistrict litigation (MDL) is established in Illinois. 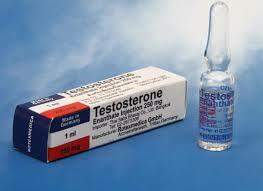 Testosterone products, which are prescribed to treat low testosterone (“Low T”) in men, have become popular among young men seeking physical enhancement and older men who want to counter signs of aging. But there is growing concern that these products have serious side effects and long-term risks, particularly related to the heart. Several products are prescribed to treat low testosterone, including: AndroGel, Depo-Testosterone, Androderm, Fortesta, Axiron, Striant, Bio-T-Gel, Testim, Delatestryl and Testopel. Men who suffer cardiac arrest, stroke, other heart-related issues or other adverse side effects after using testosterone products or supplements are beginning to file lawsuits, saying they were not properly warned of the risks. As the medical community learns more about adverse events from Low T therapies, drugmakers’ statements about risks and benefits will come under more scrutiny. Depending on how pharmaceutical companies market their products to specific populations, such as elderly men or healthy men with no history of hypogonadism (low testosterone), they could face allegations that they made misleading statements about the benefits of their Low T drugs. In March 2015, the agency issued a safety warning that testosterone drugs may increase the risk of stroke, heart attack, and death in men taking FDA-approved testosterone products. Our office has filed several lawsuits in federal for behalf of men who allege that testosterone drugs caused their cardiovascular problems. If you have taken testosterone replacement drugs and have suffered a heart attack, a stroke or other heart-related events call our office today for a free case consultation at 1-888-291-2431 (toll free). You also can request a private and confidential consultation by clicking on the Submit Your Case button.